Heart of Australia was founded by Dr Rolf Gomes, a cardiologist from Queensland, in 2015. His idea was to create a mobile health unit to bring high-level specialist medical services to remote communities in Australia to help people who couldn’t easily make it to larger cities for health care. Since its launch the Heart of Australia truck has travelled all over rural Queensland, visiting each town on its scheduled route every two weeks helping those in need that would not ordinarily be able to gain easy access to health facilities. Non-invasive tests such as cardiology, echocardiograms and electrocardiograms to blood pressure monitoring, sleep apnoea testing and general medicine consultations are available, as well as a range of allied health services. Heart of Australia launched its first truck in early October 2015 with PACCAR Australia supporting the program with a Kenworth K200 to haul the 19 meter customized trailer, outfitted with more than $500,000 of state-of-the-art medical equipment. In addition, Brown and Hurley provides truck service and maintenance to Heart of Australia. According to statistics, cardiovascular disease is the leading cause of death in Australia, with one person dying from it every 12 minutes. With the help of Heart of Australia and the mobile clinic, a larger number of Australians living in rural towns now have a greater opportunity to seek the help they need. In August 2018, Heart of Australia launched a second mobile clinic, HEART 2, allowing the organization to provide its services to even more people in rural Queensland. PACCAR Australia has once again provided a Kenworth K200 prime mover to haul the mobile medical clinic. The new prime mover is B-Double rated to suit the new, larger trailer combination. Brown and Hurley will continue to provide servicing and maintenance for HEART 2. 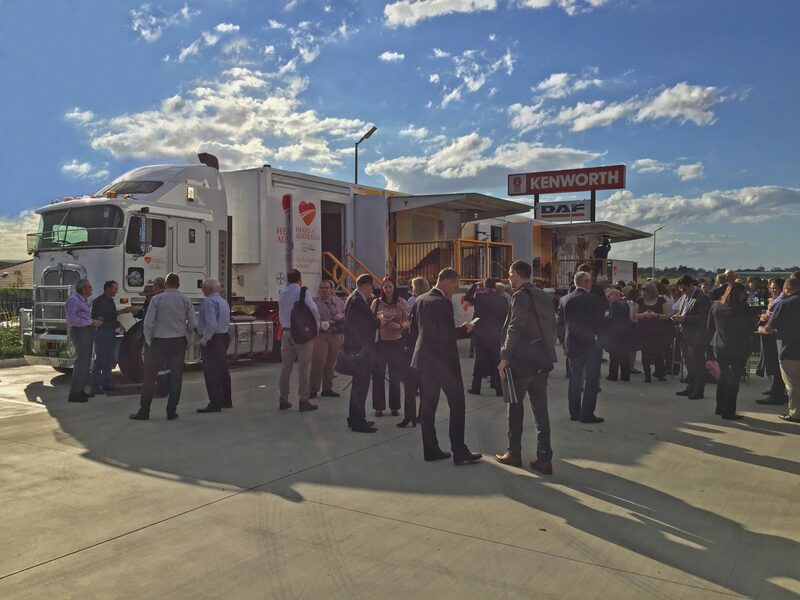 PACCAR Australia and Kenworth are delighted to support Heart of Australia in its pursuit of assisting regional and remote Queenslanders in accessing improved health and well-being resources. By supporting the Heart of Australia’s focus on providing critical specialist health care directly to these areas, we are also helping keep rural Australia vibrant and productive by supporting residents in their communities. The specialist services provided by Heart of Australia are very close to home for the road transport industry, where heart disease is over-represented due in part to the long working hours, and often limited access to regular exercise and healthy diet options. Our customer base also includes many who have chosen to live and work outside metropolitan areas, and as a result, may not have ready access to health care specialists. That’s why PACCAR Australia was among the first to support the Heart of Australia program, and we remain committed to continuing that sponsorship as the program now grows in reach and stature.